For its third season, Central Square Theater will feature a World Premiere musical, a Haitian folk tale by Derek Walcott, a trilogy about the Israel-Palestine conflict, and a classic by Eugene O’Neill. In addition, Central Square is offering two special presentations prior to the launch of its 2010-2011 season: the return of a hit one-woman show and a three-man farce based on a Sherlock Holmes mystery. 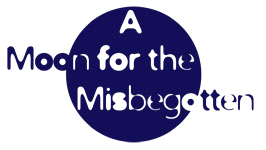 • The Nora Theatre Company will open the season with a revival of Eugene O’Neill’s enduring masterpiece, "A Moon for the Misbegotten" from October 7 – November 7. This poignant and uniquely funny play brings together two of O’Neill’s most memorable characters -- Josie Hogan, a tough-talking Irish immigrant, and Jim Tyrone, first introduced in the autobiographical "Long Day’s Journey Into Night" -- as their search for redemption weaves an unlikely and magnificent love story. • Next, Naomi Wallace offers a unique combination of theatricality and political passion in her new triptych, "The Fever Chart: Three Visions of the Middle East," from Underground Railway Theater, November 18 – December 19. An Israeli soldier encounters a mysterious Palestinian woman in the Rafah Zoo. A Palestinian father reveals to a young Israeli woman their shared history. A bookish Iraqi bird collector tells of his conscription into Saddam’s army. Through magic realism and surprising humor, the production reaches out like a prophecy, challenging audiences to envision peace during the holiday season. • Then, it’s a battle between brain and brush in Terry Johnson’s wild comedy "Hysteria, or Fragments of an Analysis of an Obsessional Neurosis," from January 6 – 30, 2011. Inspired by a real life meeting, intriguing questions arise when Salvador Dali arrives at Sigmund Freud’s house for tea. What’s with the morphine drip? Why is Freud haunted by one of his earliest cases? Will Dali ever get to paint Freud? And who is that naked woman? All will be revealed in The Nora Theatre Company’s production, under the direction of Associate Director Daniel Gidron. • Underground Railway Theater and Boston Playwrights’ Theatre then join to present Nobel Laureate Derek Walcott’s powerful folk parable, "Ti-Jean & His Brothers " from February 10 – March 13, 2011. A first time collaboration between the two companies, the production will be a celebration of Haitian art, music, and spirit. A Caribbean family is in crisis -- three brothers are pulled into a dangerous game with the Devil in this fanciful but dark story of battling despair through fierce humor and love. • The season continues from April 7 - May 8, 2011 with "Breaking the Code." Hugh Whitemore’s elegant and deeply moving play about brilliant British mathematician Alan Turing reveals connections between his cracking of the Nazi’s “unbreakable” Enigma Code and his refusal to live a closeted life. Turin embraced apparent contradictions: gay man and war hero; marathon runner and Disney film fan. He also envisioned a “universal” machine” and set the stage for modern computer technology. Catalyst Collaborative@MIT, a science theater collaboration between Underground Railway Theater and MIT, will enhance the production with post-show conversations with renowned scientists. 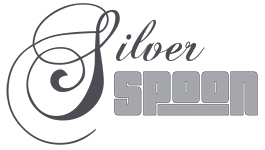 • The season will end in song as The Nora Theatre Company presents the World Premiere of "Silver Spoon" from May 19 – June 19, 2011. This is a new musical with book by Cambridge playwright Amy Merrill, and music and lyrics by popular songwriter and activist Si Kahn. Working-class Brooklyn collides with upper-crust Manhattan as two young lovers fight for justice and search for acceptance from their families, society, and each other. • Master sleuth Sherlock Holmes and trusty Dr. Watson will unlock the mystery of "The Hound of the Baskervilles." Directed by Thomas Derrah of the American Repertory Theater, performances run July 22 – August 22. Featuring three actors taking on more than a dozen roles, this farce, by Steven Canny and John Nicholson, was a hit in both London and Lenox (Shakespeare & Company). • Following sold-out runs in New York and San Francisco as well as a critically acclaimed run at Central Square Theater last year, Catalyst Collaborative@MIT welcomes back Gioia De Cari’s one-woman tour-de-force "Truth Values: One Girl’s Romp Through MIT’s Male Math Maze " from September 8 – 26. The production was nominated for Best Solo Performance of 2009 by the Independent Reviewers of New England as well as Outstanding Solo Show at the New York International Fringe Festival. Central Square Theater offers two subscription packages with discounted tickets, parking and other bonuses. In addition to guaranteed seat locations, subscribers enjoy easy exchanges privileges, a complimentary beverage at each performance and parking benefits at the nearby University Garage. .
Subscriptions are available now. Single tickets go on sale June 1. For information, call 866-811-4111 or visit www.centralsquaretheater.org.